Last week, Underoath fans lost their minds when the six-piece announced that a new album was on its way. Now, four days later, we've also learned that the Tampa natives will be embarking on a 24-date tour in support of it! The group will be bringing their signature, high-energy sets to venues across the country this spring for their Nø Fix Tour, which will be making stops in Nevada, Florida, Rhode Island, Texas, and more. The band, comprised of Grand Brandell (bass), Spencer Chamberlain (vocals), Chris Dudley (keyboards), Aaron Gillespie (drums/vocals), Tim McTague (guitar), and James Smith (guitar), has come a long way since its 1997 inception, enduring lineup changes, a two-year hiatus, and a total revamping of their sound. In celebration of the announcement, the “Writing On the Walls” rockers gave us the skinny on what jams they’ll be bumping in their tour bus this spring. With tracks from The Knife, Sir Sly, and Foster The People, you’ll have this playlist on a loop—no question. 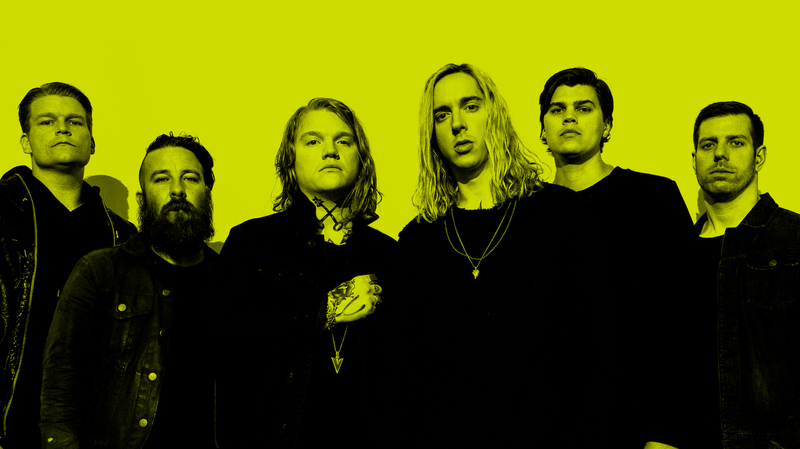 Listen below and make sure to track Underoath on Bandsintown to stay up-to-date with all their touring news! "The first song released from our new album in stores April 6th." "Electronic but feels like a band. Truth in it. Honesty in it." "There is rarely honest, acoustic music anymore. This will scratch all the itches." "I love this band and think they actually might save rock n roll, it’s honest, it’s raw and it’s refreshing!" "SHC is my pick for album of the year in 2017. I don’t know how this band continues to reinvent themselves but every record they put out I fall in love with the music all over again, this record is solid front to back." "This song is all vibes from beginning to end. SZA’s voice compliments Kendrick’s style with perfection." "This is one of those songs that seems to get better every time you listen to it. Love the lyrics almost as much as the production on it." "This song makes my brain hurt and my head bob at the same time and that’s the biggest compliment I can give. LOVE THIS." "Solid track from what is in the (early) running for my album of the year. Just a damn good rock song from a damn good rock band."